Connect 20mm blue 'mains' MDPE pipe to 1 or 2 16mm polytube "supply” pipes. 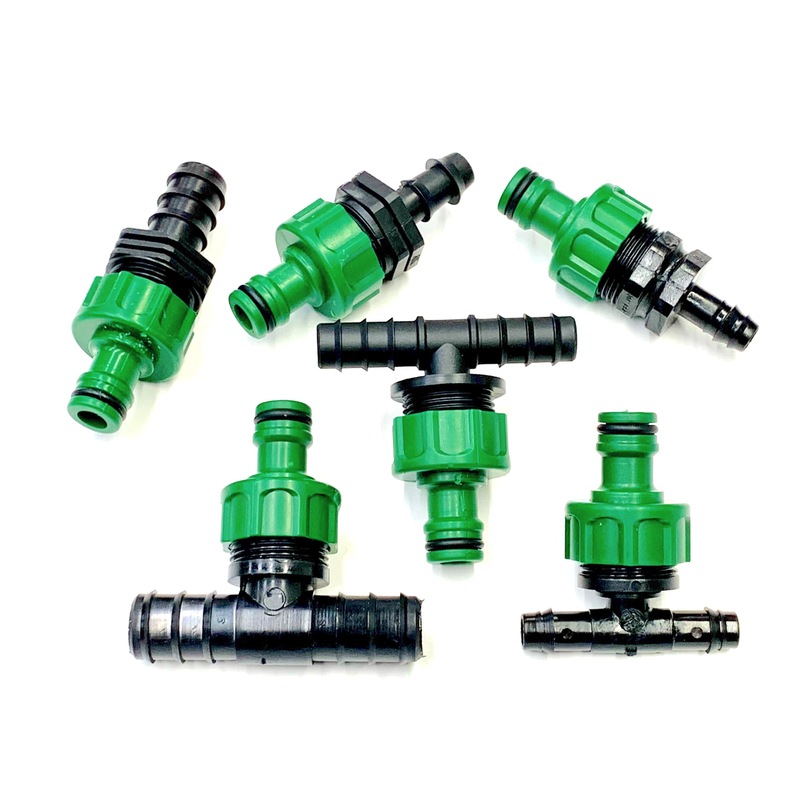 Use these compression fittings where the water is supplied to the garden in 20mm blue MDPE 'mains' pipe. The output end is a barbed fitting which simply pushes onto the 16mm black LDPE polytube. Available with one or two outputs - select from the menu above. Sold as a single unit, pre-assembled with PTFE tape. The fitting can be rotated once assembled without breaking the seal. To connect 16mm polytube direct to 20mm "BLUE" MDPE polytubes. A very positive connection.